PrintArt GW-POD-11-POL-208-15x30 "Fancy Letters I" by Kimberly Poloson Gallery Wrapped Giclee Canvas Art Print, 15" x 30"
PrintArt GW-POD-11-POL-209-6x12 "Fancy Letters II" by Kimberly Poloson Gallery Wrapped Giclee Canvas Art Print, 6" x 12"
Fancy Letters I by Kimberly Poloson - 16"
This 16" x 32" canvas art print of Fancy Letters I by Kimberly Poloson is created on the finest quality artist-grade canvas, utilizing premier fade-resistant archival inks that ensure vibrant lasting colors for years to come. Your canvas print will be sent to you rolled in a protective shipping tube with a 1.5 white border all around the finished artwork that allows for easy stretching/framing. Proudly made in the USA by our expert graphic artisans. Canvas Art USA brings your walls to life with our meticulous attention to detail, all backed by the best customer service in the biz. 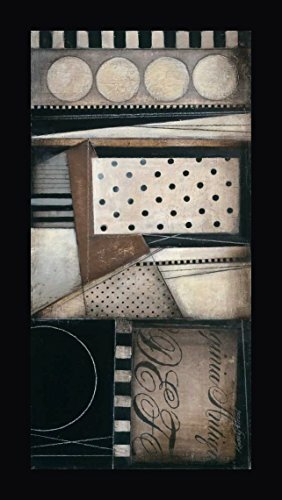 Fancy Letters II by Kimberly Poloson - 9"
This 9" x 18" canvas art print of Fancy Letters II by Kimberly Poloson is created on the finest quality artist-grade canvas, utilizing premier fade-resistant archival inks that ensure vibrant lasting colors for years to come. Your canvas print will be sent to you rolled in a protective shipping tube with a 1.5 white border all around the finished artwork that allows for easy stretching/framing. Proudly made in the USA by our expert graphic artisans. Canvas Art USA brings your walls to life with our meticulous attention to detail, all backed by the best customer service in the biz. 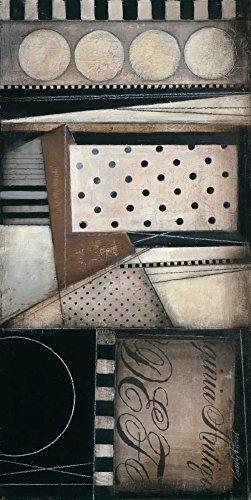 Fancy Letters I by Kimberly Poloson Canvas Art Wall Picture, Gallery Wrapped with Image Around Edge and sold by Great Art Now, size 15x33 inches. 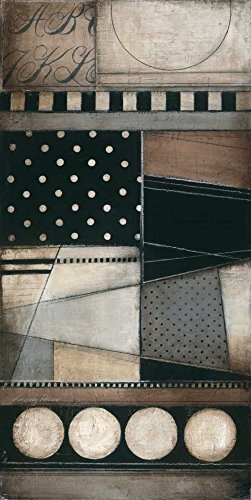 This canvas artwork is popular in our Art by Room, Bedroom Art, Abstract Art, Modern Art, Decorating Ideas, Large Space Solutions, and Abstract Art for the Bedroom categories. Great Art Now was started in 2002 by a group of friends with an interest in both art and technology. That interest and a lot of hard work has led us to become one of the largest online retailers in the country. We use our buying power to create great art that can be sold at great prices and is accessible to everyone. All of our artwork is stored in our New Jersey warehouse and our finished pieces are handcrafted for you by our expert craftsman. 1. 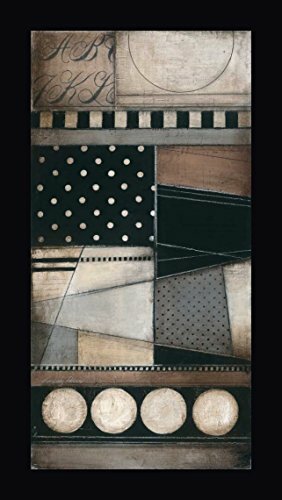 Package arrives with Fancy Letters I by Kimberly Poloson Canvas Art Wall Picture 2. Satisfaction Guarantee 3. Easy to hang with your own drywall screw 4. UVA protective coating will help protect artwork for years to come. Fancy Letters II by Kimberly Poloson - 19"x38"
This 19"x38" premium giclee canvas art print of Fancy Letters II by Kimberly Poloson is created on the finest quality artist-grade canvas, utilizing premier fade-resistant archival inks that ensure vibrant lasting colors for years to come. Every detail of the artwork is reproduced to museum quality specifications by our talented graphic artists. This magnificent canvas print is custom framed by one of our professional framers in a 2" wide black frame for that ultimate designer look. Your framed canvas print will arrive to your door ready to hang with all necessary hanging hardware. Our huge selection of over 100,000 magnificent canvas art prints, along with an exclusive collection of handcrafted frames, makes Canvas Art USA your one stop source for the finest canvas art prints for sale at direct wholesale prices. 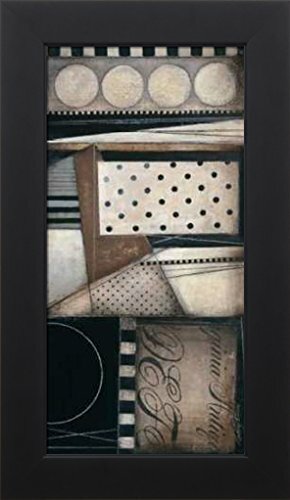 8x16 Fancy Letters II - Abstract by Poloson, Kimberly in a Studio Black frame. This giclee print offers beautiful color accuracy on a high-quality paper (235 gsm) that is great for framing with its smooth, acid free texture. High quality printing gives this fine art print a vivid and sharp appearance. This versatile fine art print is made even more beautiful by the solid wood picture frame that serves as that perfect final touch. With a width of 1 3/4 inches, the Studio Black Picture Frame is ideal for small spaces. Each handcrafted, made-to-order frame is coated with a smooth layer of black gesso coating, creating a sleek satin finish. The back of the final product is sealed with a dust cover and hanging hardware is installed. This framed fine art print is ready for hanging out of the box. 5x10 Fancy Letters I - Abstract by Poloson, Kimberly in a Distressed Classic Saddle frame. This giclee print offers beautiful color accuracy on a high-quality paper (235 gsm) that is great for framing with its smooth, acid free texture. High quality printing gives this fine art print a vivid and sharp appearance. This versatile fine art print is made even more beautiful by the solid wood picture frame that serves as that perfect final touch. With a width of 1.5 inches, the Distressed Classic Saddle Picture Frame complements a variety of art prints to create a warm, wood-toned presentation. 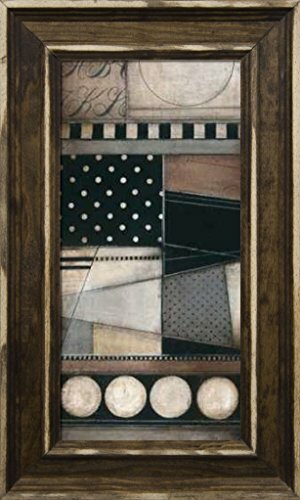 Each handcrafted, made-to-order frame is hand stained and rubbed, and then distressed on the edges to bring out the natural wood color underneath. Each of these frames are hand made, and no two frames will be the same, due to the way the stain reacts with the wood. The back of the final product is sealed with a dust cover and hanging hardware is installed. This framed fine art print is ready for hanging out of the box. Fancy Letters I by Kimberly Poloson - 13"x26"
This 13"x26" premium giclee canvas art print of Fancy Letters I by Kimberly Poloson is created on the finest quality artist-grade canvas, utilizing premier fade-resistant archival inks that ensure vibrant lasting colors for years to come. Every detail of the artwork is reproduced to museum quality specifications by our talented graphic artists. This magnificent canvas print is custom framed by one of our professional framers in a 2" wide black frame for that ultimate designer look. Your framed canvas print will arrive to your door ready to hang with all necessary hanging hardware. Our huge selection of over 100,000 magnificent canvas art prints, along with an exclusive collection of handcrafted frames, makes Canvas Art USA your one stop source for the finest canvas art prints for sale at direct wholesale prices. This 19"x38" premium giclee canvas art print of Fancy Letters II by Kimberly Poloson is created on the finest quality artist-grade canvas, utilizing premier fade-resistant archival inks that ensure vibrant lasting colors for years to come. Every detail of the artwork is reproduced to museum quality specifications by our talented graphic artists. This magnificent canvas print is gallery wrapped by one of our professional framers on 1.5 inch deep wooden stretcher bars. The gallery wrap process allows you to hang the artwork on your wall frameless, since the printed border is wrapped around all four edges. Your gallery wrapped canvas print will arrive to your door ready to hang with all necessary hanging hardware. Canvas Art USA brings your walls to life with our meticulous attention to detail, all backed by the best customer service in the biz. Copyright © Wholesalion.com 2019 - The Best Prices On Kimberly Poloson Letters Online.